AutoCAD 2020 is here. To compare AutoCAD 2020 vs preceding releases, click here. With the 2017 release, AutoCAD moved to a flexible subscription model, making new features available with each release and product update. 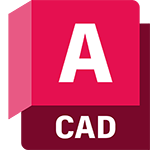 If you have a perpetual license of AutoCAD 2016 or earlier, here’s what’s changed in AutoCAD 2017, AutoCAD 2018, and AutoCAD 2019. AutoCAD mobile app (US Site): View, create, and edit AutoCAD drawings via iOS, Android, and Windows devices.